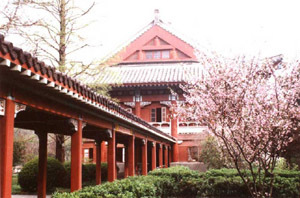 Nanjing Normal University(NNU) is an old university with a history of over one hundred years. Quite old thougt it is, NNU is still advacing. It is a key university of Jiangsu Province, and is even among those universities of “211 Project” which is fully backed up by the government. To investigate into its origin, you may go back to the Sanjiang Teachers College in the late Qing Dynasty, which was promoted in 1902 by Zhang Zhidong, governor of Jiangsu and Zhejiang Province. Later, it turned to be Lianjiang Teachers College and finally became the ‘South Normal School ’ of China, which gestated the mature school-running system of China’s higher education for teachers. In 1952, there was an amendment of all departments and schools of Chinese universities and colleges. Therefore, Nanjing Normal School was founded on the foundation of some schools and departments of former Nanjing University and Ginlin University. A little later, it renamed Nanjing Normal University in January, 1984. And in March, 2000, Nanjing Advanced College of Dynamics was merged into. 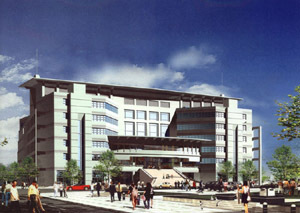 At present, the whole NNU compromises of three campuses: ‘Suiyuan Campus’, ‘Xianlin Campus’ and ‘Zijin Campus’, covering a total area of 200001000m2 (i.e. over 3100 mu) and a tectonic coverage of 840000m2. On campus, flowers are fragrant, grass green, ancient trees towering and surroundings charming. That is why it is named by people both home and abroad as ‘the most beautiful campus in the east’. 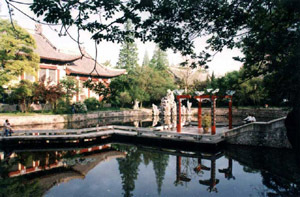 Xianlin Campus locates the scenic area in east suburbs of Nanjing. Occupying around 1.02 km2, it is environed with the Bell Mountain scenic area, the Xixian scenic area and the Tangshan Mountain area, with enchanting natural beauty and international standard entiroment. Nanjing Normal University is one of the cradles of China’s higher education for teachers. During the development more than one century, many famous educationists of modern China have taught here in succession, such as Tao Xingzhi, Chen Heqin, Wu Yifang and so on. With the hardy efforts of several generations, NNU has formed a style of study, focusing on educational practice, and a school spirit of ‘preciseness, plain, push and dedication’. Now, it has turned to be a comprehensive normal university with rounded system as well as complete subjects covering social science, history, philosophy, science, engineering, pedagogy, economics, law, art and physical education. Applicants must be 15 years or older and be in good health. The student must provide a photocopy of their passport as well as 4 1" photograph. a.After registering through telephone, mailing in application or online, obtain a "Registration Form for Foreign Students" form. completed "Physical Examination Form for Foreigners" form along with the "Admission Notice" and "-Visa Application for Study in China" (JW202 Form). After mailing all required documents along with the registration fee to the Nanjing Normal University College for International Students, telephone or e-mail the University to confirm the status of your application followed by obtaining an "Admission Notice" and a "Visa Application for Study in China"(JW202 Form). Bring in all the required documentsn and registration fee to the Nanjing Normal University College for International Students Office, complete the registration form indicating registration fee has been paid, followed by obtaining an "Admission Notice" and a "Visa Application for Study in China"(JW202 Form). Students can register online on the mainpage of the Nanjing Normal University College for International Students. Complete the registration form for Foreign Students and mail all required documents and registration fee to the Nanjing Normal University College for International Students Office no later than one week. Registration fee must be in the form of a money order with the same last name as provided on the registration form, followed by obtaining an "Admission Notice" and a "Visa Application for Study in China"(JW202 Form). Registration fee 400RMB;and Books and materials. A two person room at the Nanshan Hotel charges a rate of 40RMB per person per day. Including: Television, Telephone, Air Conditioning, Public Bathroom). A two person apartment at the Foreign Student Dormitories is 4500RMB per person per semester. (Including: Television, Telephone, Air Conditioning, Private Bathroom, Kitchen). Off-campus housing is also available costing approximately 400RMB-1500RMB per person per month.